If you are over 30 years and not sure your fitness is up to it, worried about “slowing” the group up, carrying an injury, suffering from aging joints? An E-Bike may just be the answer for you. With a rear hub drive pedal assist motor that makes use of the gears on the bike, this efficient system can help you when you need it. Just apply any amount of pressure to the pedals and the small motor promptly starts assisting you, up hills and all-about and stops assisting the split second you stop pedaling. The eBike will assist you to a maximum speed of 25kph, this top speed has the safety of you and other trail users in mind. 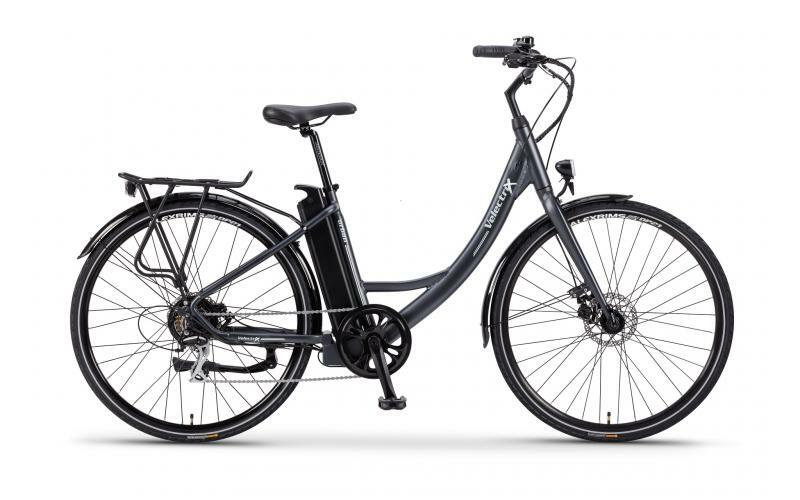 E-bikes are available in one size to suit most adults. Hire includes: Bike hire and helmet from 11am to 4pm, route map,and roadside assistance. Hire does NOT include: Tasting charges that apply at wineries. Transfers from or to accommodation. Collection of purchases from wineries. There is a wine tasting cover charge at each winery you visit of between $5-$8 per person, which is redeemable against wine purchases. We understand that sometimes, plans can go awry. However, from the time that you make your booking your bikes are held for you. When you book you have the option to pay either the full amount of the booking or a deposit of $50 per eBike with the remaining balance due on the day. Once you have booked and if you cancel your planned tour prior to the date, then we reserve the right to keep a $50 deposit per eBike to cover administration costs. If you book for a number of bikes and fewer people turn up than you had booked for then we reserve the right to keep a $50 deposit per eBike for each bike reserved for the tour but not taken.